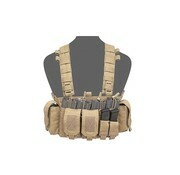 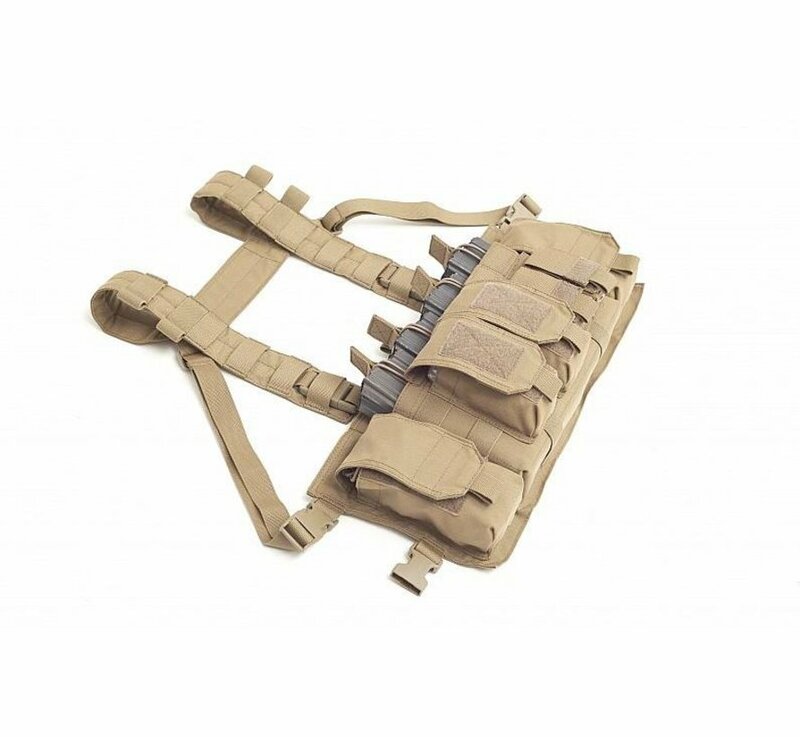 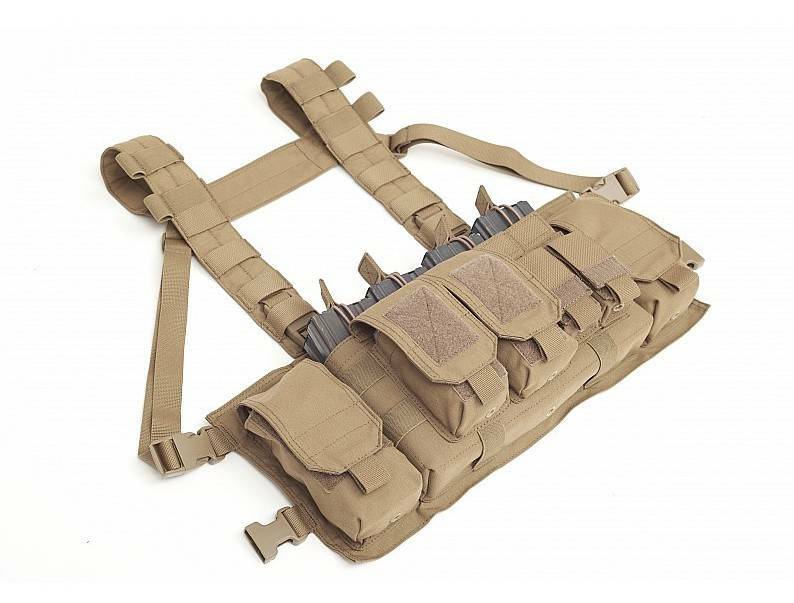 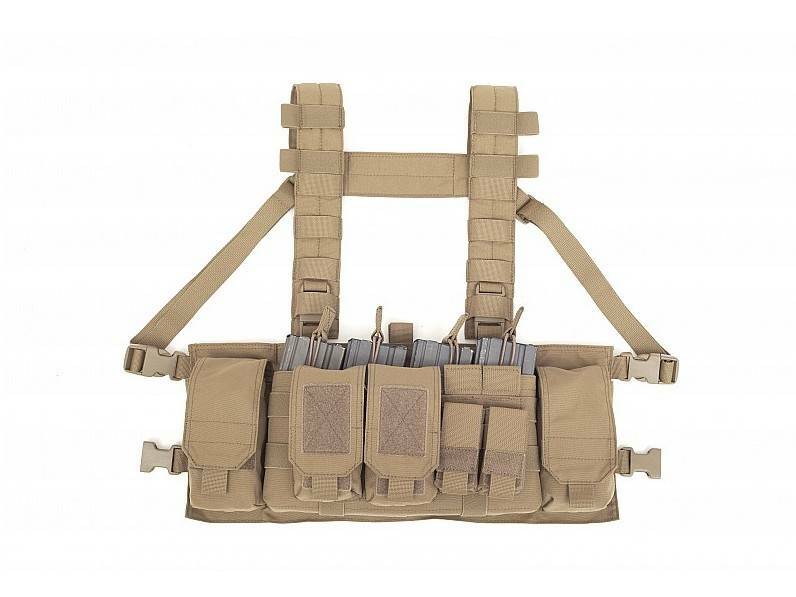 Warrior Assault Systems Falcon Chest Rig (Coyote Tan). 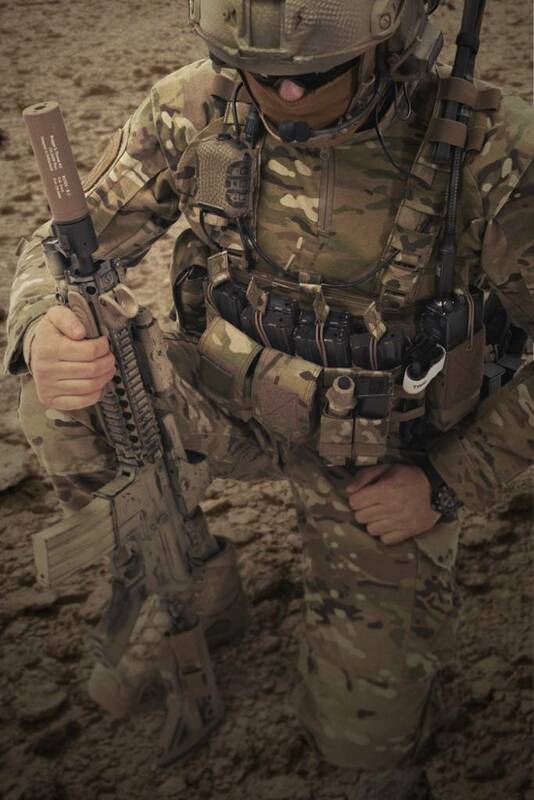 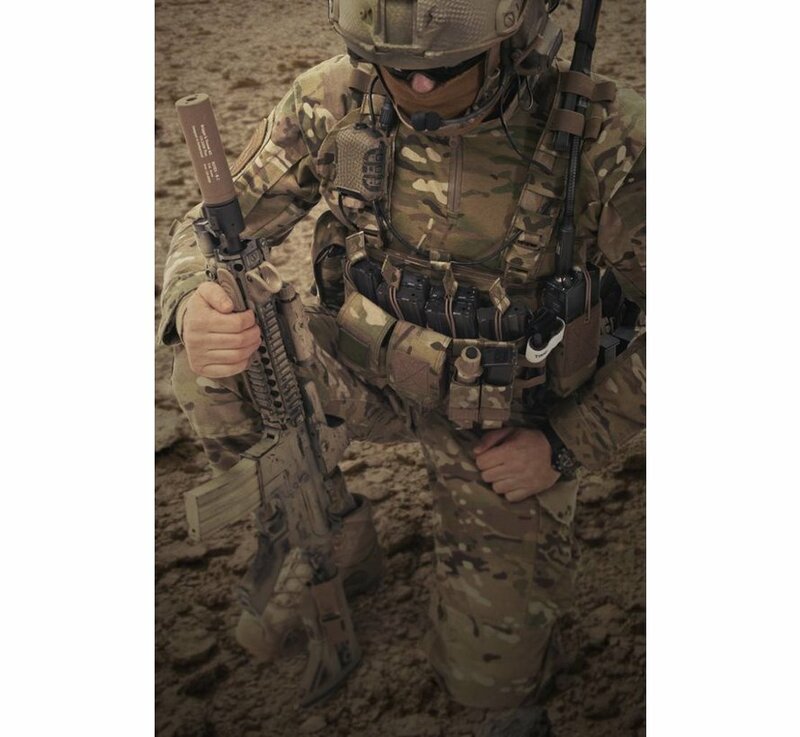 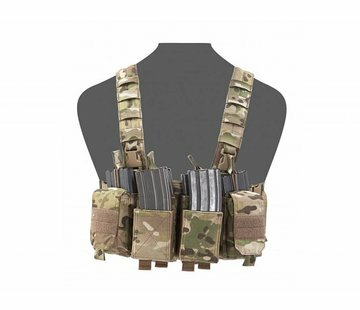 The FCR is designed to work as a compact Chest Rig in standalone configuration. 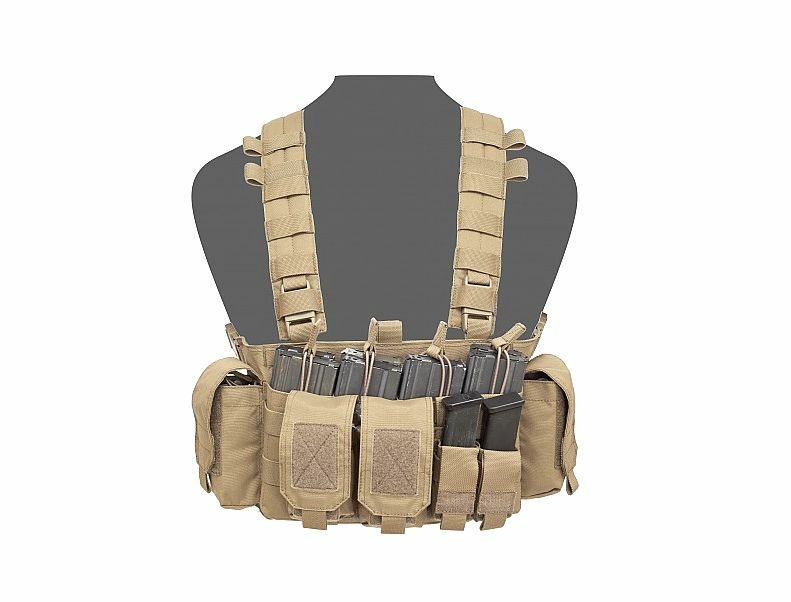 The unique feature about the FCR is its ability to attach to Warrior's new RPC (Recon Plate Carrier). 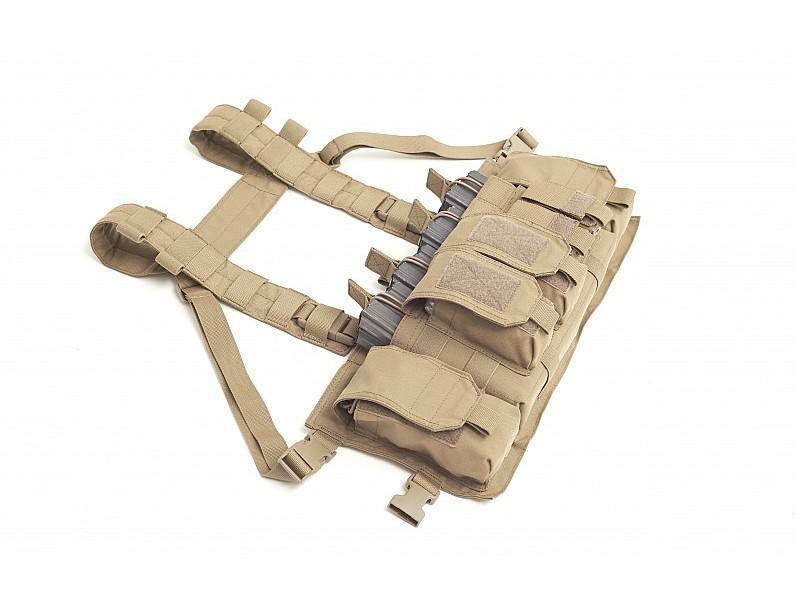 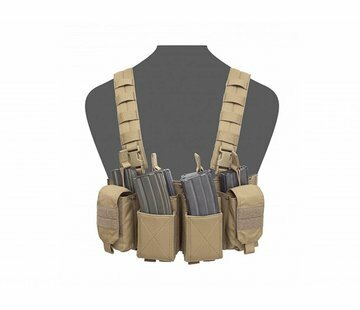 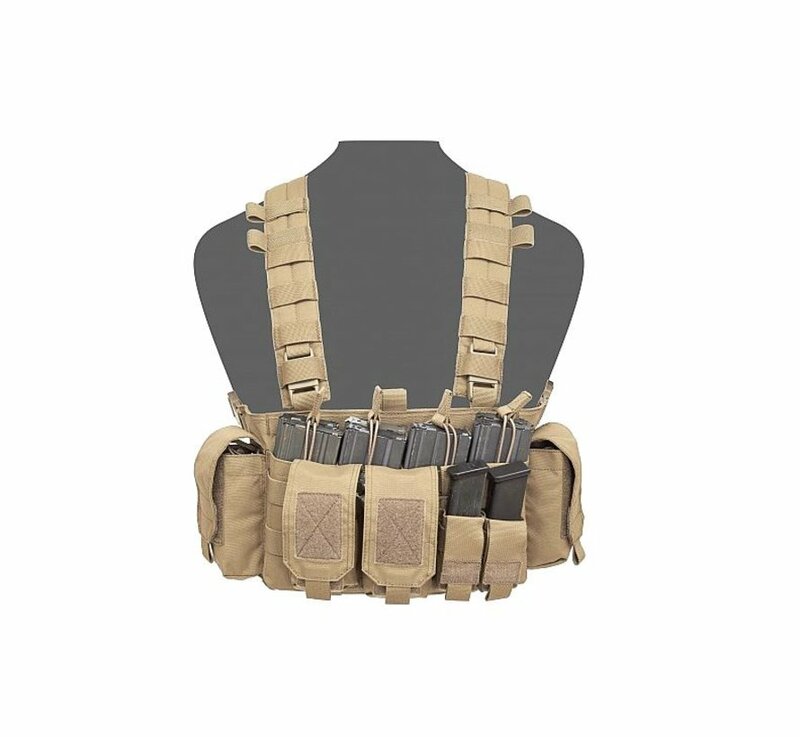 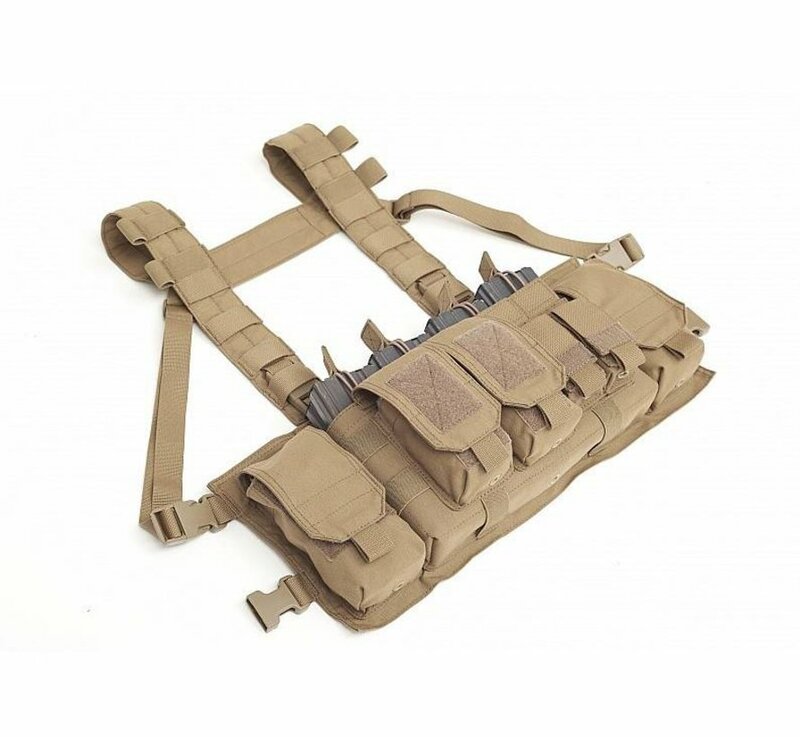 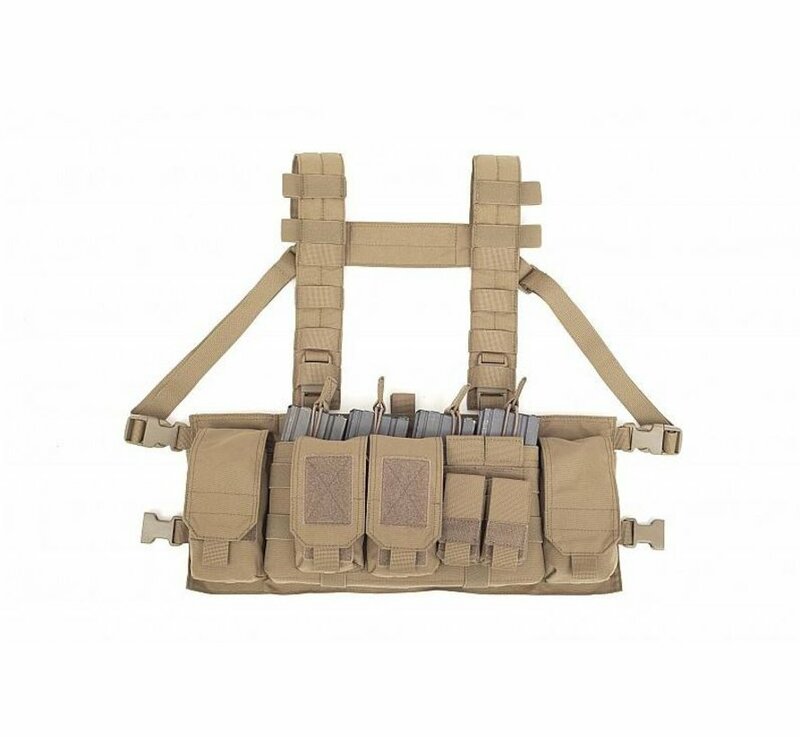 Simply remove the shoulder and rear straps and all the remaining clips line up with the corresponding ITW clips located on the front and sides of the RPC Plate carrier, creating a scalable armour platform.